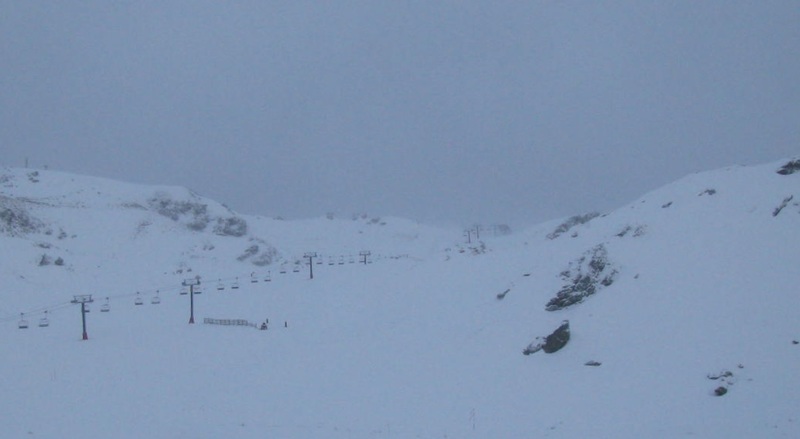 A view from a Cardrona webcam this morning. Queenstown Winter Festival has cancelled today’s mountain events due to extreme weather conditions compromising participant safety. The popular Tour de Cardies and Mountain Bikes on Snow events were scheduled for this morning. The festival will refund all entry fees. The mountain itself though is open.